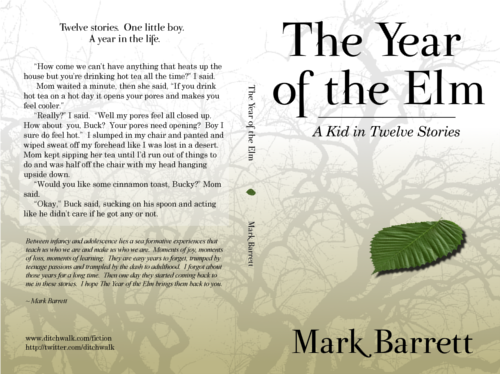 Having had the smarts to avail myself of the experience, insight, technical skill and patience of designer Joleene Naylor, I now have a cover for the print-on-demand (POD) version of my short story collection, The Year of the Elm. I’m not only satisfied with the result, I’m thankful I didn’t have to produce it on my own. Whatever time it might have taken to do it myself, and however much I might have learned along the way, I wouldn’t have been able to replicate the give-and-take that helped us arrive at the solution you see here. All of the issues I wanted to deal with or resolve have been dealt with or resolved. The look of the POD cover is an evolution of the original e-book cover, but it also speaks more directly (albeit suggestively) to the contents of the stories. I can’t help but feel that it’s an improvement. [Publishing] is an industry where agents only get work from editors, and editors only get work from agents. Where the writers are taken out of the process entirely in order to “protect” them. Mick Rooney is the proprietor. 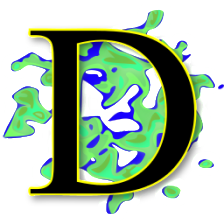 The full title of his blogsite is POD, Self Publishing and Independent Publishing. I ran across it while chasing down links related to the previous post, and it certainly seems to be up-to-date on the titular subject matter. And no, I’m not pointing to him because of the awesome ditch mention. To be very honest, I never noticed any difference in quality between the various POD shops. Most of these services use Lightning Source to actually print the books. Update: very nice links page on the Lightning Source site, featuring a wide range of author resources and author-service companies.